David Rosén and Algot Törneman for NK/Triva by Säffle Möbelfabrik, Sweden. 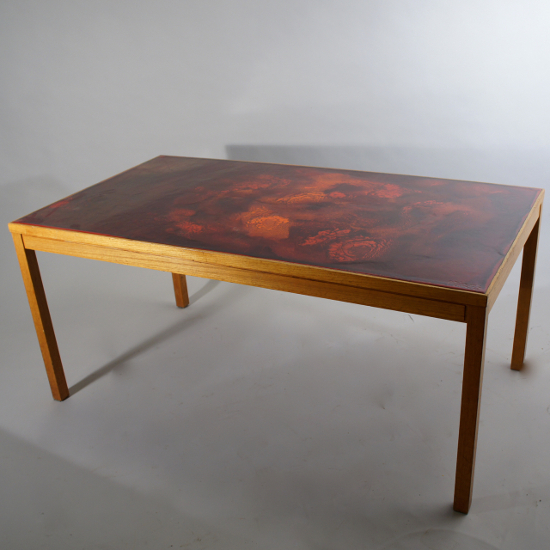 Coffee table in oak with top in painted enameled metal. 120×65, height 54 cm.